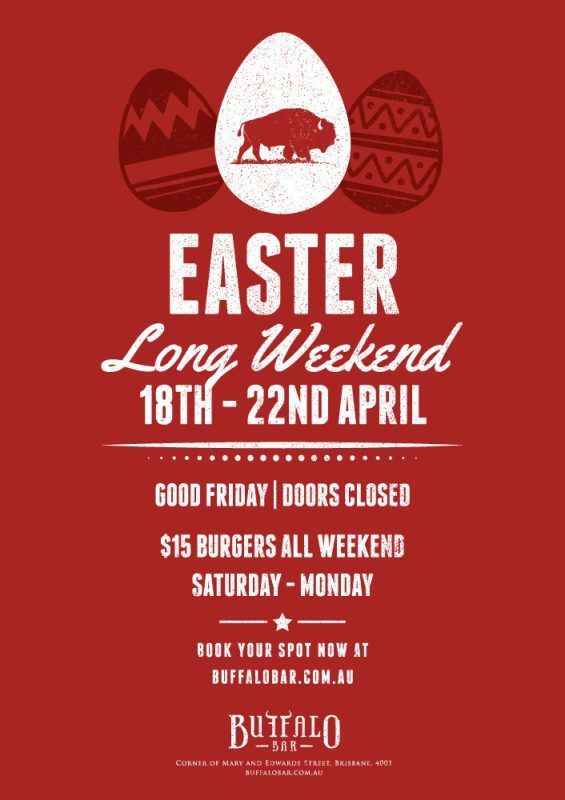 Leave the cooking to us and celebrate Easter long weekend the Buffalo way! Saturday - Monday $15 Burgers all-day-long! There's nothing like an epic feed to cure those weekend activities. So gather the crew and head on down for what will be one delicious weekend!